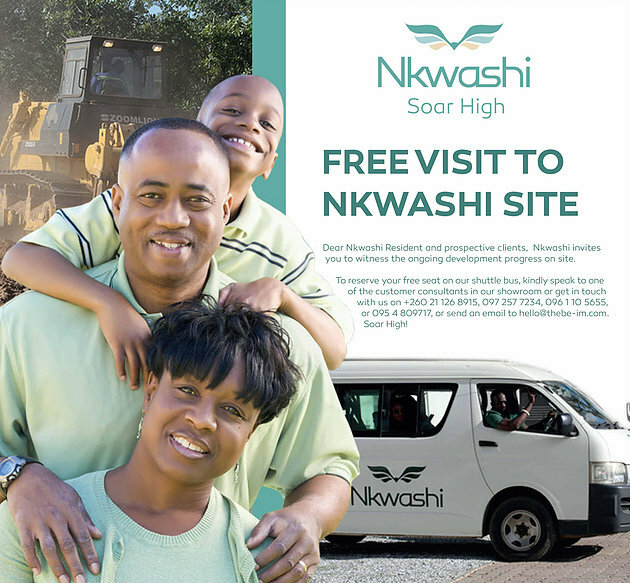 Post the launch of ‘project eagle’ kindly be informed that we will be offering a free shuttle service to the Nkwashi site for you to see first-hand progress of the works that have been made thus far. As always we will endeavor to ensure that all of our customers are caught up to speed with our development works. With the launch of Project Eagle, we have now seen to the completion of the Main Access Way and begun the tertiary roads in the Basic plot area. Book your free visit today. Call us now: +260 21 1268 915 – 097 2 57 7234 – 096 1 105655 – 095 4 809717 or email: hello@thebe-im.com. Please bear in mind that this is a limited offer and will only be running till the end of August on a first come, first go, basis.